TEST YOUR CANDIDATES BEFORE HIRING!! Our analysis is based upon the fact that all of us have strong and weak points, which is quite normal and acceptable – no one is perfect. The analysis contains several built-in systems whose function is to verify the authenticity of your answers. It is therefore recommended you answer the questions as sincerely as possible since manipulating will be judged negatively. It is not a secret that the way you see a person from the outside is seldom the exact same as what you find on the inside. Each of us has our own idea about how we want to be, how we would like to handle situations and, to a certain degree, also how to comply with what is expected of us. In normal circumstances when we feel okay, we are generally able to fulfil our ideas. But as soon as we run into a surprising, difficult or stressful situation, we are not always able to keep our set standards and we simply react. And those reactions are not necessarily right or appropriate. When it comes to other people you can see this very easily – we see when they are losing control, when they are not okay, or when they are trying to solve a problem but are actually worsening the situation. It is a little bit more difficult when we are looking at ourselves, as we have a very strong impulse “to be right”, which often gives us a distorted view of ourselves. It is simply not so easy to be impartial toward yourself. 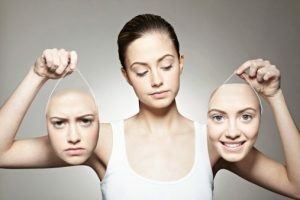 An effective way to understand someone’s personality is to use a test that is itself impartial, one that is not influenced by a certain relationship with the tested person and can “see through” even a strong social mask. In our work as recruiters, we have used such a test for more than 12 years, and that is why we decided to share our hard won experience with those that we feel it would be very helpful to. When we give feedback from the tests to specific people, we see how they sigh with relief after things are understood. These are not just small things in the area of planning or efficiency at work. In many cases, it is the practical direction of a person towards a solution that determines whether or not the person will be generally successful. Please do not imagine that the tests will give you all the answers. It is as clear as day that when hiring a person, it is not enough to just check the personalities of applicants. However, we understand that each position needs a slightly different set of personality characteristics, which will bring about stable results with ease if they are used in the best possible way. And this is what is wanted. We use the tests ourselves when hiring people and, because we are the type of company that prefers to learn the hard way instead of listening to theoretical recommendations, we burned our fingers a couple of times, which convinced us that it really works. Sound familiar? An example of this is that a potential assistant made such a good impression on us at the interview – she looked so able, she was very pleasant but very direct. She was not afraid to communicate and walked through the practical exam with flying colours. The test, however, showed great unpredictability and swings in mood and energy. “That’s nothing”, we said, “Maybe she was only in a bad mood”, and we hired her. The first three days were fantastic, and we got the impression that everything was great and the test was wrong. But on the fourth day, “someone else” came to work instead of my new assistant. She looked like her, but it was like a different person. The energy was nowhere to be found, the mood was at the freezing point and everything she should have known after three days was gone. We were shocked. It was a catastrophe. We said our goodbyes almost immediately. This and a few other similar experiences convinced us how valuable it is to have an independent tool that will warn us about important things we could easily overlook. We don’t rely solely on the test results when I hire. But at the same time, we know that if we decide to ignore its results then we put our company at risk. What’s beautiful about it is that there is not one ideal personality that all people should have, like a copy from a copy machine. We are not products made according to a template, and it cannot be said that there is only one possible ideal. That would be boring. If we look closely, each position requires a set of strong characteristics if one is to succeed over time. And those characteristics are different for different jobs. Think of a team as a group of individuals. It goes without saying that working on improving a team will pay back rewards. However, a team consists of individuals, so it is clear that if you improve an individual the whole team will improve. In addition, if you do not know the potential of your team – meaning every individual on it – and you are mostly guessing at what would be good for the team by looking at a few very noticeable individuals, then your attempt to improve the team could be highly ineffective. When you invest money and time into something, removing as much risk as possible is always a good idea. By using a test that tells you what each person really needs, the effects are a thousand times better. You do not have to deal later with half of the team being dissatisfied with the content of the training. Instead you will end up with a much more motivated team. It is as clear as day that when hiring a person, it is not enough to just check the personalities of applicants. Moreover, in yearly evaluation interviews, the value of the process increases if you have unbiased information about which strong and weak characteristics the person in front of you has, along with which ones are used and which ones are not. From that you can then take advantage of those strong characteristics to create a plan for how the person can be more successful and efficient, as well as how to eliminate what tends to complicate his job. So, if you are using personality testing for your existing team, then it is very important to give each individual high-quality feedback. That is why it is a good idea to get well trained technicians for it. Although personality can appear to be a somewhat “complicated subject”, it can definitely be grasped. And it is a great idea to understand it more thoroughly, as cooperation with employees then generally gets a lot simpler. IQ or Intelligence Quotient: A number intended to indicate a person’s level of intelligence. Intelligence quotient (IQ) ratings are a measure of an individual’s capacity to learning something new; they are a scale based upon how old in years a person is, compared to how “old” he is mentally. someone is re-tested, the alternate form can be used to get a comparative without the testee recalling answers from the first test. A person being tested for the first time would use Form A.
Aptitude Test: The Aptitude Test mainly measures the ability of the testee to duplicate. It is designed to measure the accident proneness of the testee. There are two forms for the Aptitude Test, Form A and Form B. This is for the same reasons as the IQ test. completion is needed to ensure totally accurate results. completed without interruption and to stop the timer and hold up his or her hand immediately upon completion. When the testee is ready to start, the administrator starts the timer and the testee begins. without requests for additional information…” If the testee has questions or asks for help once the test has started, he or she must be told to read the instructions at the beginning of the examination. No other information is to be given. When the testee has finished, the administrator picks up the test and marks the time showing on the timer in the space provided on page two of the test. Precision Personnel Analysis: A test measuring the job-related personality attributes of a person, such as: a person’s ability to pursue goals, interact with people, be calm and stable under stressful conditions, be responsible, take initiative and other personality criteria. It does not diagnose any mental or physical condition or disability. This test holds the most information about the character of the person. It thoroughly asses 10 different attributes of the person by using 180 specifically worded questions and is rigged to expose what the person’s attitude towards the test is. Is he trying to hide something or is the testee answering in an open and honest fashion. IMPORTANT NOTE: The Personality Analysis or any test supplied by NIMA Recruitment should not be used to determine or affect any terms or conditions of one’s employment, including but not limited to hiring, promoting, salary increases or decreases. They are only used to provide information for the manager or employer for further interviewing of the personnel, whether an applicant or existing staff, to improve the overall efficiency and performance of the organisation. The test-result shows tendencies and need not to be read as a verbatim description of the person’s character, and should not be regarded as such. Therefore the test result can only form the basis of a more elaborate analysis of the person’s productivity and potential, e.g. through a personal interview and references. To inquire about bulk reduced rates for bulk testing please contact NIMA Recruitment.